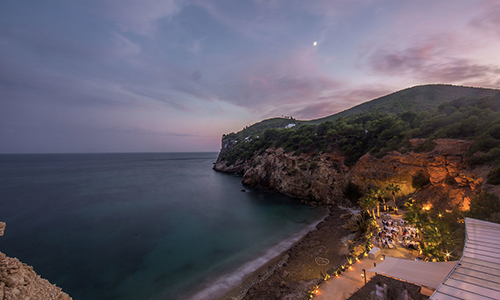 There’s so much magic in every corner of Ibiza: the folklore and full moon rituals, the sunrises and sunsets, the majestic scenery and dramatic coastlines. Surrounding yourself with the soul and spirit of the island makes for an amazing destination wedding. There’s ample to choose from here: somewhere stunning in a rolling hillside vineyard perhaps? A villa wedding? Something on the beach? 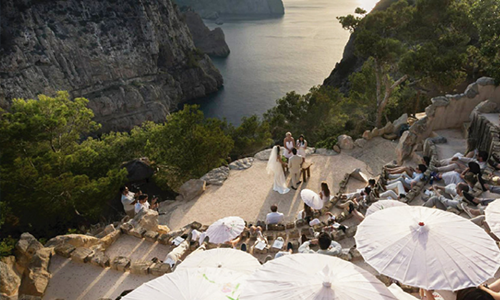 Or maybe an open-air ceremony on a clifftop – the opportunities are endless. If you’re planning to get married in the most magical place ever, here are some suggestions for you. 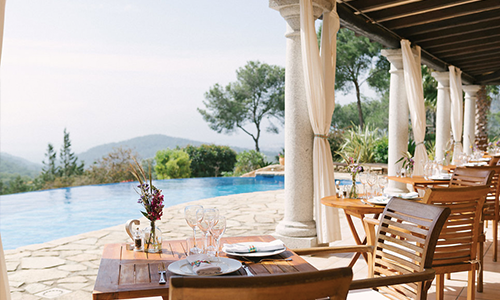 For stylish Ibiza agroturismo we recommend Atzaro. 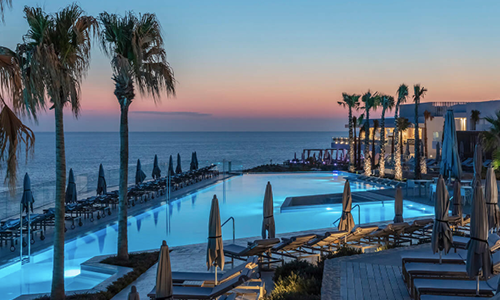 Located in the centre of the island this exquisite hotel is surrounded by sun-drenched orange groves, with an instagrammable, lifesize ‘LOVE’ sign, plenty of outdoor areas for guests to swap bride and groom stories and a nightclub for dancing. Wed at La Granja for authentic Ibiza vibes. This beautiful farmhouse is where one of the coolest couples in showbiz, Michael Fassbender and Alicia Vikander, tied the knot in 2017. It’s a tasteful, traditional ranch with a Riviera-chic pool, a mezcal bar and a moorish feel. Replicate the Fassbender’s day by having post-wedding brunch at Es Xarcu restaurant. 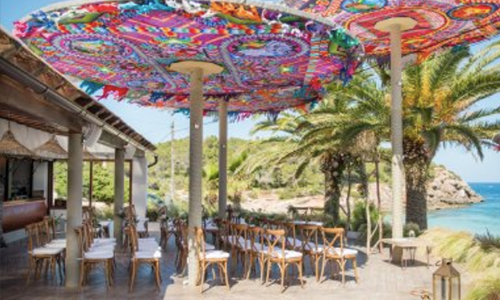 A chiringuito bar, an Ibizan countryside backdrop and elegant decor make Can Lluc an idyllic place to for the big day. This hotel is just ten minutes from pretty much anywhere so you could always hit up a super club for the afters. 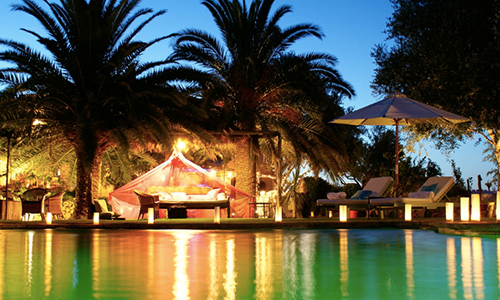 Es Cucons is one of Ibiza’s first rural hotels and now an island gem. 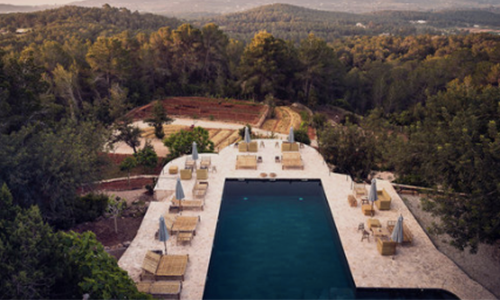 Tucked away in Santa Agnés, the views over the almond trees in the valley are picturesque and the venue is nothing short of beautiful. Amante has views for days. This enchanting beach club is set over two levels, leading down to a private beach. Your guests will be able to see Formentera during the ceremony and the celestial Ibiza sunset while dining. Think of the photos! 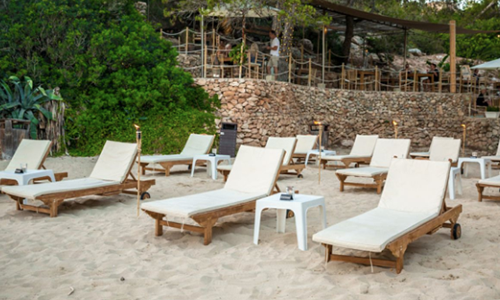 Set in a private cove above an Ibicencan beach, Cala Gracioneta Chiringuito is an ideal venue for an intimate affair. It’s the little touches that make it: like the sun-dappled terrance and the candle-lit beach after sunset. Seeking laid-back luxe? Then plan your nuptials at Aiyanna Ibiza. After the exchange of vows brides can hang their heels and enjoy sand between their toes. It’s the perfect combination of boho and beach. For one of the most exquisite settings pick Hacienda Na Xamena, where the sky melts into the sea. Say “I do: in the dreamy amphitheatre on top of a cliff, and follow up with a cocktail party. Stunning but chilled but luxurious, Païssa d’en Bernat is a five-bedroom villa jam-packed with character. It dates back to the 1880s and fuses traditional Spanish and Ibicenco elements with exotic interiors from Bali. It’s available for short three to four-day rentals and the costs include contemporary white chairs and circular tables as well as a complimentary wedding planning service.